Known as one of the most famous châteaux in France (let alone in the Loire Valley), château de Chenonceau is a distinctive beauty, with part of its structure suspended over the river. 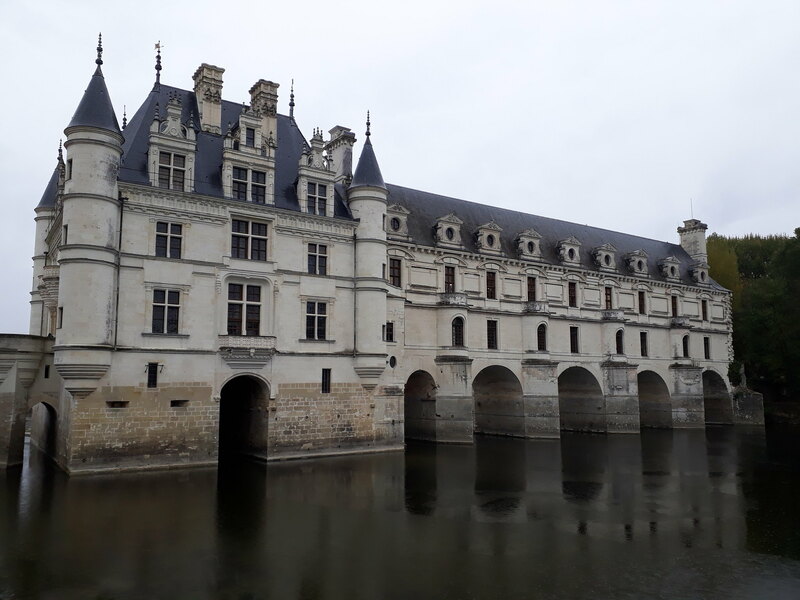 Having been to a few other châteaux in the Loire Valley already (including the equally-famous château de Chambord), I knew that I had to make it out to Chenonceau to satisfy my desire for beautiful architecture. 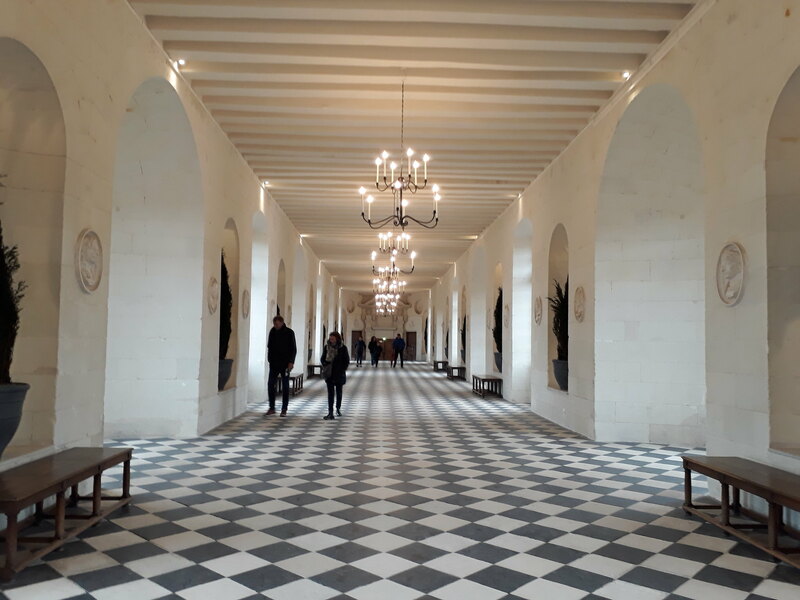 A day trip to Chenonceau from Paris is doable, albeit long: after all, the château is located closer to central France than the north, and it’s easily a two-hour drive one-way. 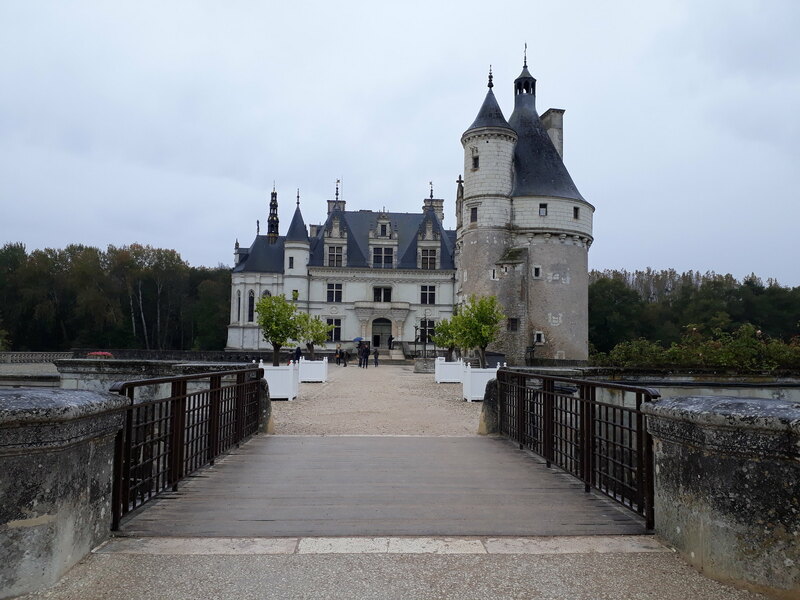 All the same, I opted for the long-ish journey via train– admittedly, I’d booked rather last-minute, so tickets were expensive (I’m talking 75 euros round-trip), but my desire to visit Chenonceau was stronger than what I would be willing to pay, anyway. That said, I booked my train tickets, and I woke up early after my second night in Paris to catch the morning train from Montparnasse. It was perhaps a 75-90-minute ride, as I got off at a train station near Tours and waited for the connecting train to Chenonceaux. Overall, the journey took about two to two-and-a-half hours, but it was worth it to see the château. 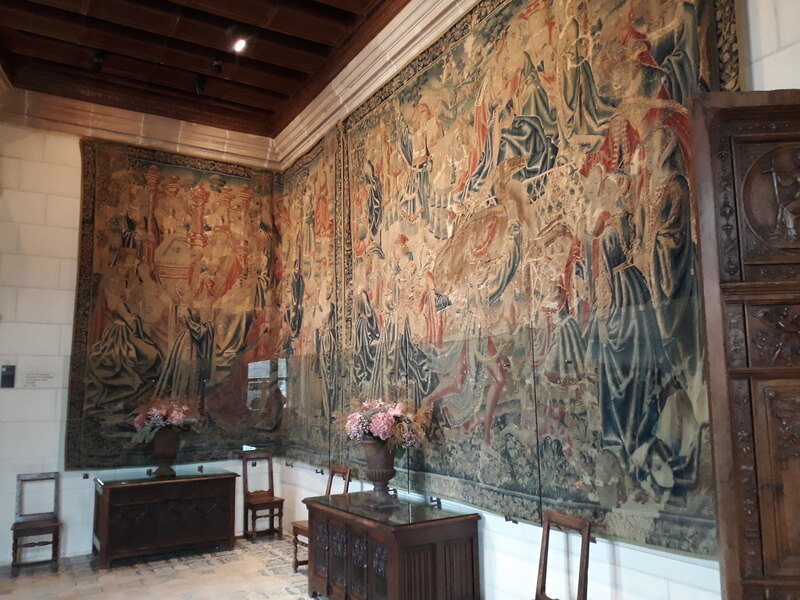 I arrived at Chenonceaux half-past noon, and I paid the admission fee to access the château. It was a stroll down a long, dirt path through the estate before reaching the building itself, with Diane de Poitiers’ garden just adjacent to it. Château de Chenonceau has had a long history, dating back to the 11th century and made famous during the Middle Ages with Catherine de’ Medici and Diane de Poitiers running the estate, which was incredible as women during that time. Although it was a rainy, overcast day when I visited, the château still looked as stately and beautiful as I’d imagined. 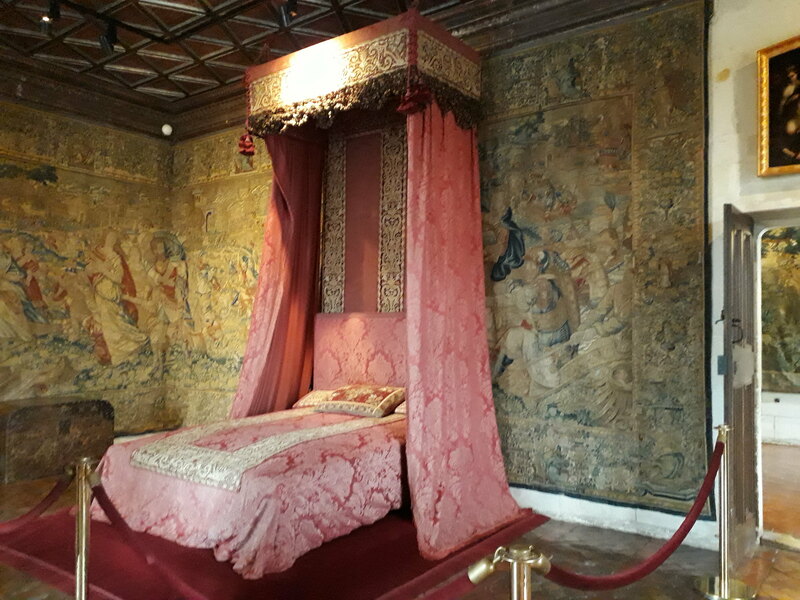 I entered the château and spent some time wandering through the various floors and rooms, with lavish beds, tapestries, and royal decor from floor to ceiling. One could imagine feeling like royalty just walking throughout the place! One of the royal bedrooms. After seeing all of the rooms inside, I got a late lunch/afternoon break at the nearby tearoom, where I ended up ordering an overpriced slice of cake (pretty, but small) and mulled wine. Not exactly cheap, but it was relatively tasty, and I got to stay warm inside from the cold rain outside. I wandered the gardens afterwards, including the maze, before I headed back to the train station to catch my 16:15 train back to Paris. Likewise, I had a transfer near Tours and soon enough, I made it back to Paris at half-past 18:00. 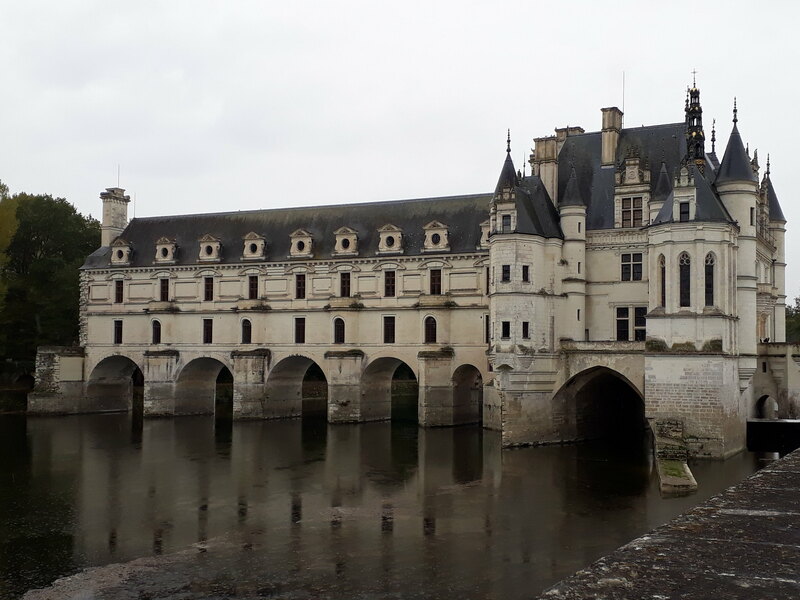 It’d been a long commute and day of visiting, but I’m glad to have seen the beauty of château de Chenonceau with my own eyes, all the while complete a part of my Loire Valley château bucket list! Stay tuned for another day trip post from Paris! I’m always amazed that these Chateaux survived so many wars and revolutions.